Home Current Events Tragedy brings questions…. I have had quite a few patients ask me about the tragedy in Hawaii recently, where a 3 year old girl is comatose after treatment at a pediatric dental office. In the article (and remember, we probably don’t have all the information at our disposal), it states that the girl was having 10 fillings done and 4 root canals at her appointment. A few patients have asked if root canals are routinely done on kids, while other patients have been shocked at the number of procedures they were attempting. First of all, the young girl was having “baby root canals,” or pulpotomies, which are a fairly common procedure on baby teeth. Because baby teeth are small and thus have thinner layers of enamel, even a small cavity can endanger the nerve of the tooth and require its removal to prevent infection. This is a fairly easy pediatric procedure, one that we perform at Dental Health Associates routinely in cases where it is necessary. 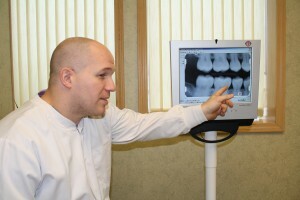 As for the child needing 10 fillings, that too is quite possible. It seems as though the patient might have had rampant decay, often called “baby bottle caries.” Unfortunately, we see this from time to time when a child is given a bottle to sleep with; juice pools around the gumline of the upper front teeth and bottom molars and causes extensive tooth decay. In cases like this, with large numbers of cavities and a three year-old patient, I would most likely refer the child to a pediatric dentist. Why? This sort of case is best handled with the child under properly monitored general anesthesia- in one appointment, the majority of work can be completed and the child is not traumatized from 4-5 different operative dental appointments. The problem in Hawaii seems to have occurred because the anesthesia was not properly administered and not properly monitored… a double whammy but very rare.